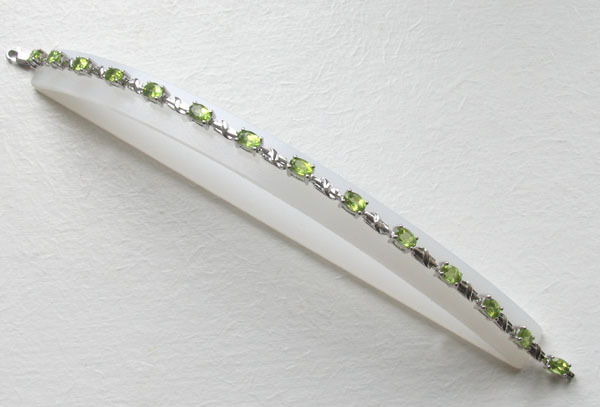 This peridot bracelet features a string of faceted oval peridots interspersed with a decorative spacer link. 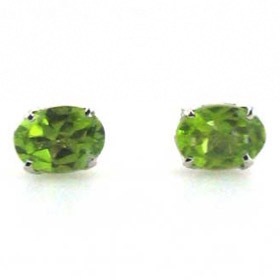 These are top quality peridots. 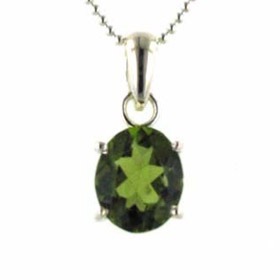 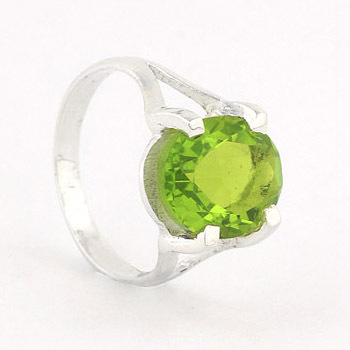 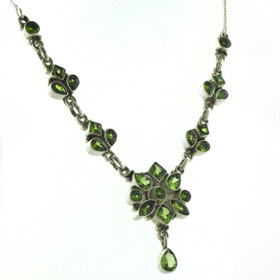 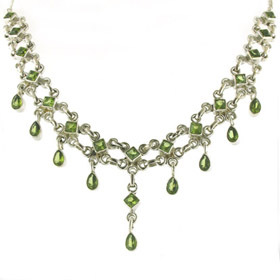 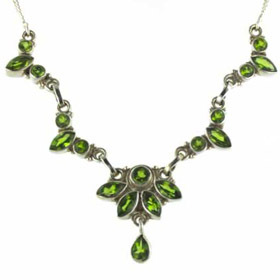 They have good even colour - the traditional lime green of this semi-precious gemstone. 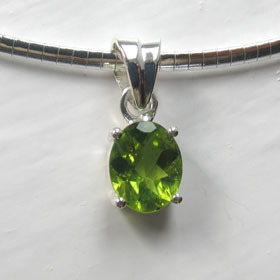 The diamond cut surface shows of the gemstones' brilliance. 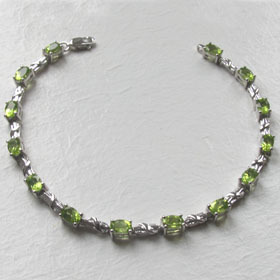 Wear alone or mix with other sterling silver bracelets for a layered look. 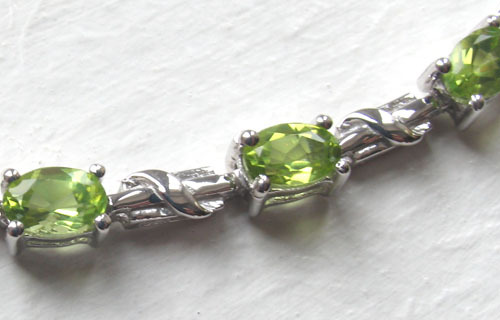 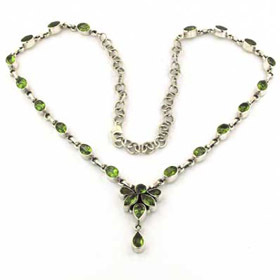 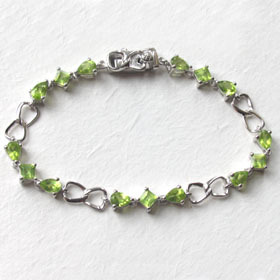 This peridot silver bracelet fastens with a lobster claw clasp. 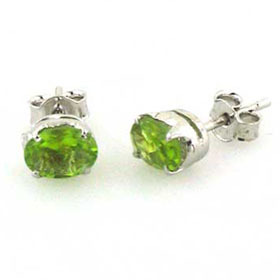 For coordination earrings, see our peridot studs.